I have written plenty about Emily’s love of organizing. From a very young age she liked things neat. She puts away her toys. She lines up her shoes. She completely empties her backpack and makes sure there are no stray apple cores or bits of papers every day. She is a neatnik and I am thrilled. She makes it easy for me to be in Pick Up Clutter Free Overdrive. So, with a solid four years (Em didn’t really maximize her cleaning skills until about three years of age) of a tidy house behind me I embarked on having Baby Number Two. It will be a piece of cake, I thought. I have one kid. Two will be a breeze. If Emily is high tea and elbow length gloves on the veranda then Lucy is a fraternity party in a wet basement. It seems like just last week I had a baby. She was sweet. She pooped on me on occasion and I routinely sleep in a pile of wet drool, breastmilk, sweat from my ever changing hormones. But Lucy was a baby. She can’t help the constant flow of liquids. She was sweet. And she smelled good. 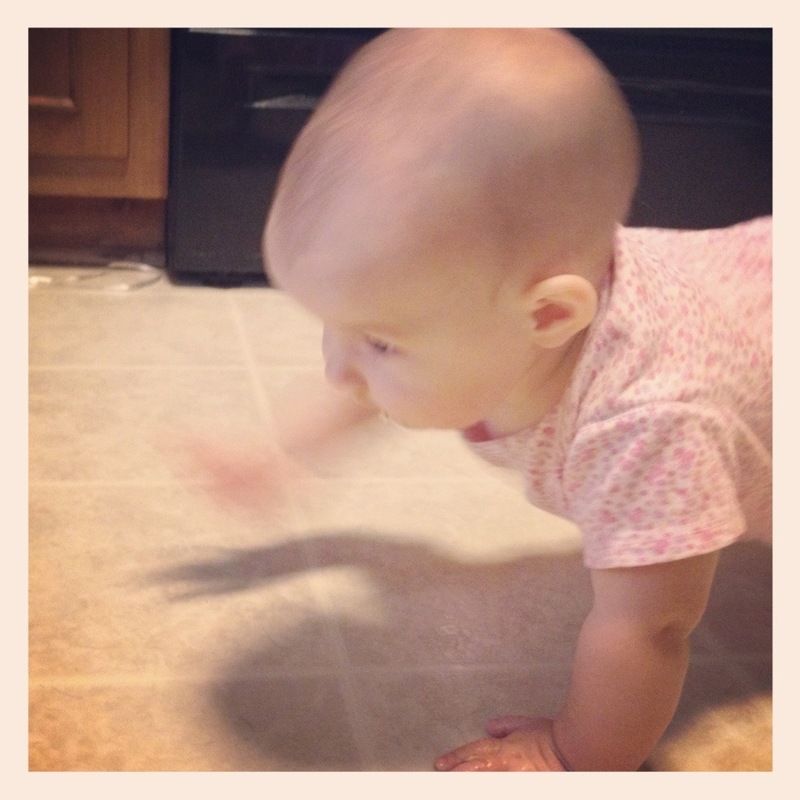 A few weeks ago Lucy started crawling. Last week she started picking up speed. And yesterday she morphed from my sweet baby to a benevolent college freshman, drunk on cheap beer and loud music. I took a shower. We were chatting. She was sitting next to the tub. 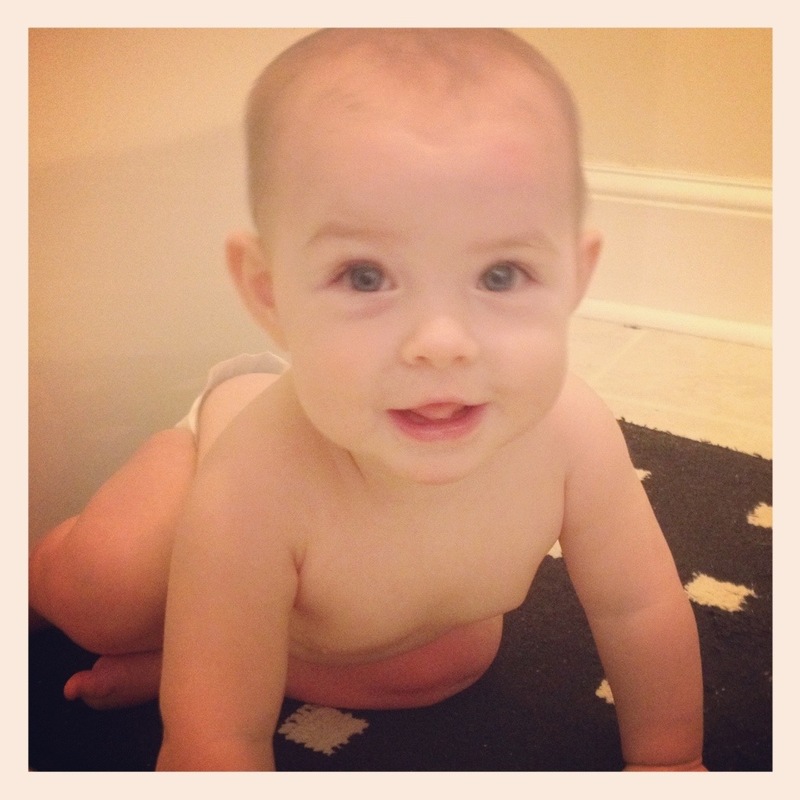 I could hear her little hands slapping against the side of the tub, the shower curtain swaying back and forth. And then I didn’t hear her hands. And the shower curtain stopped moving. 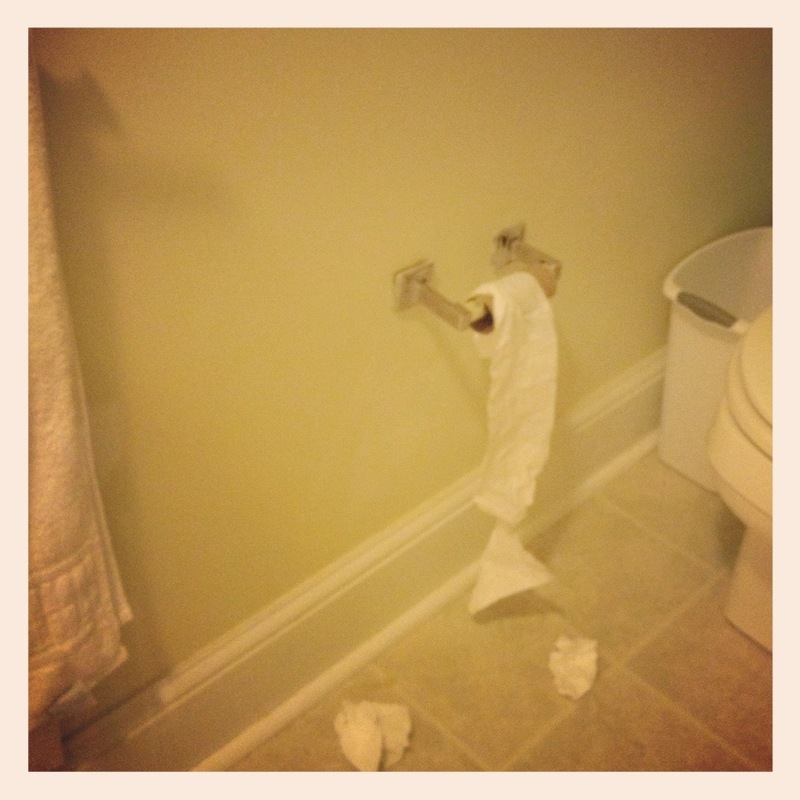 When I got out of the shower I was happy that no one in my house replaces a roll of toilet paper until it is totally and completely empty. It didn’t stop there. We went in to the kitchen to make dinner. She sat in the middle of the floor with her plastic spatula and a spoon. I turned my back for a second. I know better. Splash! 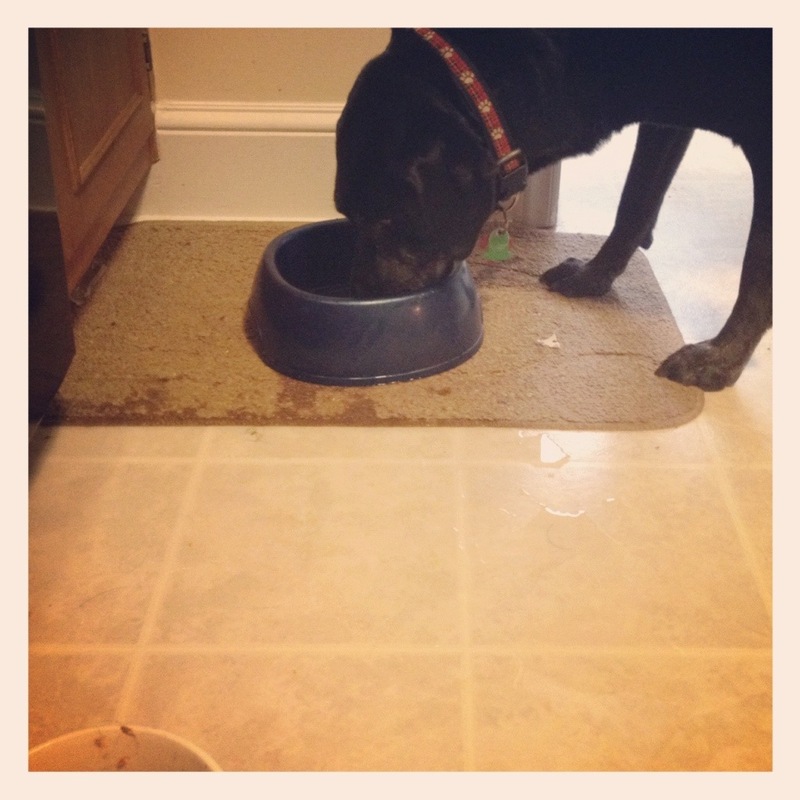 Fisher’s water bowl hits the floor. And she is off to the races, slipping and sliding like college kids in a long hallway coated in laundry detergent. Things were just getting good. 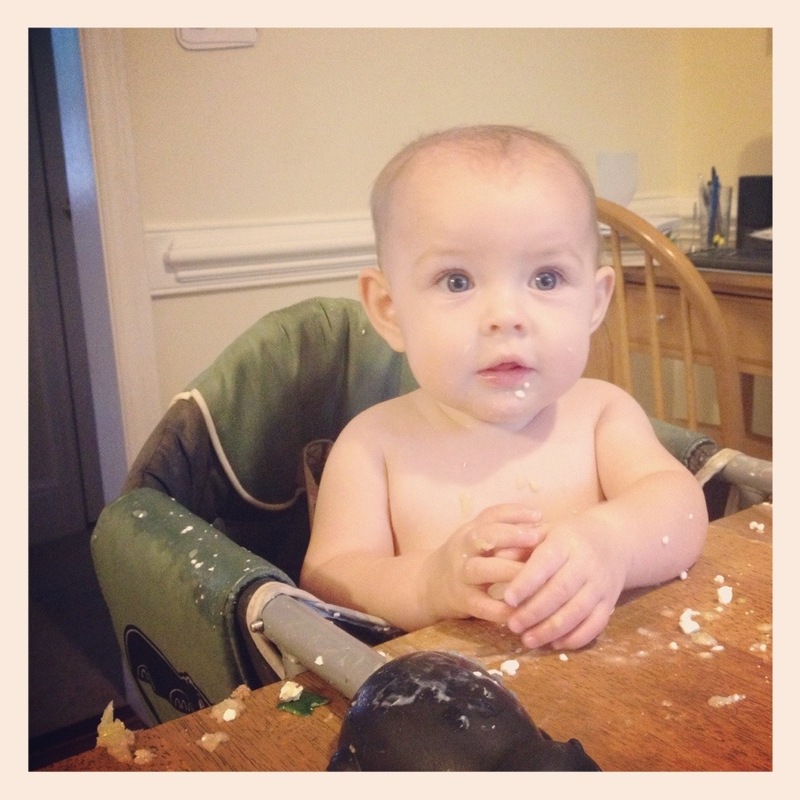 My second child, my sweet little Lucy… she is That Guy. She is up for anything. I am in so much trouble. 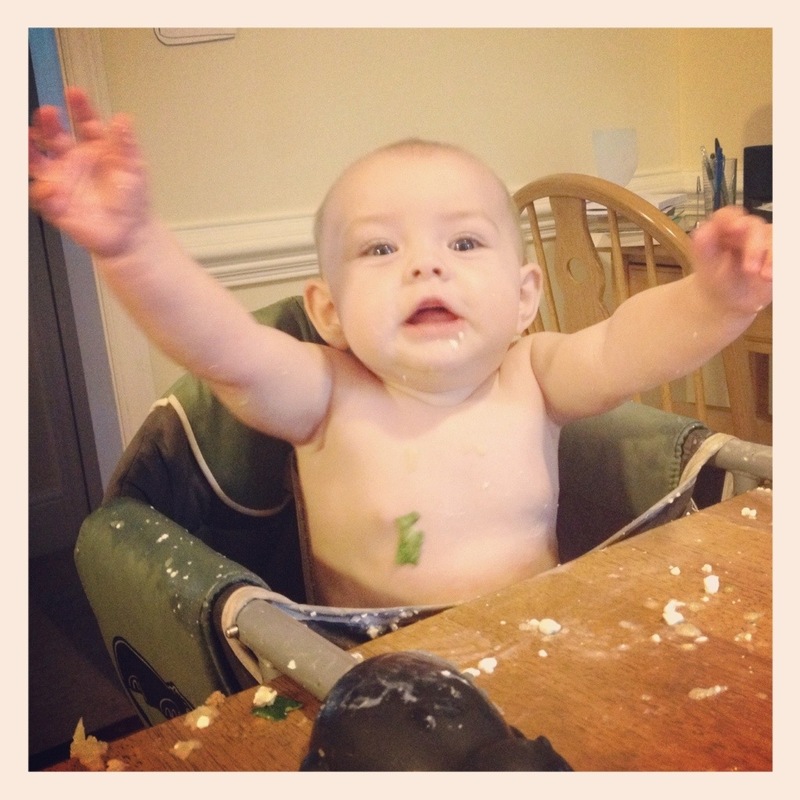 This entry was posted in Nonsense, Parenting and tagged Humor, Kids, Life, Lucy, mommy blog, Parenting, SAHM, stay at home mom. Bookmark the permalink. She just LOOKS like she’s in the mood for some mischief!! Destructo Lucy!! Good luck keeping up with her!! Hahaha – this so made me laugh! My Carter is a bit like your Lucy. It is quite the ride but so much fun. This is what you get – you have one neatnic and one__________? What yo gonna do – she is yours and you love her just the way she is. It’s funny today. Yesterday I thought I was gonna lose it!